At plumber Churchtown our team are available 24/7-365 days a year to help you with your plumbing emergencies and general plumbing services. We can have a member of the team at your property in under an hour for all of your unforeseen plumbing problems. Our fair price policy at plumber Churchtown. 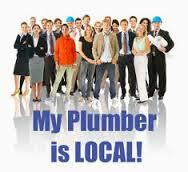 Our local team of Chuchtown plumbers always ensure their prices are extremely competitive. Our fair price policy means all of our charges are completely transparent. With upfront pricing so you know exactly what the service will cost you and there are no hidden charges. Remember for our staff no plumbing job is too small or too large. When choosing a plumbing company it is always safest to look for an established company with an excellent industry reputation. We have been established for over 30 years and are highly regarded within the industry. Some of our senior staff have in excess of 35 years experience in providing plumbing services throughout Dublin. This means we can complete all jobs to the highest standards with minimum fuss. We are fully insured with public and professional indemnity insurance and all our work is 100% guaranteed as it falls under our “plumbers Churchtown” 1 yr labor and parts warranty. Our staff are trustworthy, reliable and totally focused on providing the highest standards of service to all of our clients. The Plumber Churchtown team provide all of the following and more. • All boiler repairs and installations. • Central heating installation and repairs. • Gas appliance installation, hobs, ovens and fires. • Gas pipe replacements and repairs. • Bathroom renovations and kitchen installations. • Drain unblocking. We use drain rods, high pressure jetting units, plumbers snakes and C.C.T.V. inspection. • Plumbing in of dishwashers and washing machines. • installation and repairs of water pumps, tanks and radiators. • Unblocking of sinks and toilets. • 24 hour emergency plumber Churchtown call out service. • installing and fixing problems with baths, toilets, showers, sinks, taps, bidets and wet rooms. We operate a free call out service. We are happy to visit you at a convenient time and provide a no obligation quote. We do not have hidden fees or charges. We will never charge for traveling time or parking fees. We have fully stocked vans so as there is never a need to be “sourcing parts”. If you need any work completed, or require a free quote call your local experts today on 01-2844921. Churchtown plumbers are your one stop shop for all your plumbing services.